advancing the education of the public in the subject of Astronomy. 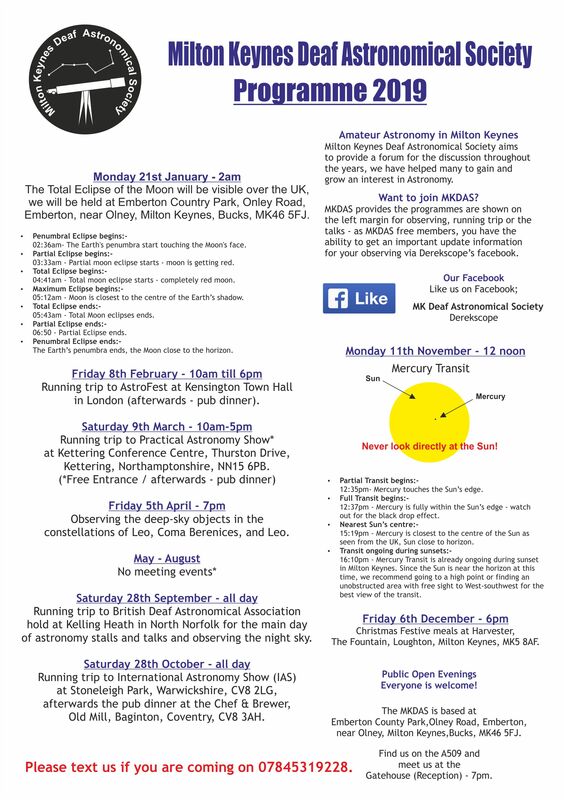 MKDAS is a thriving deaf society located in Emberton, near Olney. Mostly meeting start at 7pm. Find us on the A509 and meet us at the Gatehouse (Reception) at 7pm. Please text us if you are coming on 07845319228.
near Olney, Milton Keynes, Bucks, MK46 5FJ. in London (afterwards – pub dinner). constellations of Leo, Coma Berenices, and Leo. 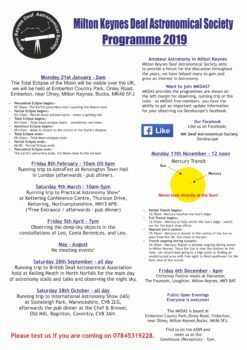 of astronomy stalls and talks and observing the night sky. Old Mill, Baginton, Coventry, CV8 3AH. 12:35pm- Mercury touches the Sun’s edge. 12:37pm – Mercury is fully within the Sun’s edge – watch out for the black drop effect. as seen from the UK, Sun close to horizon. 16:10pm – Mercury Transit is already ongoing during sunset in Milton Keynes. 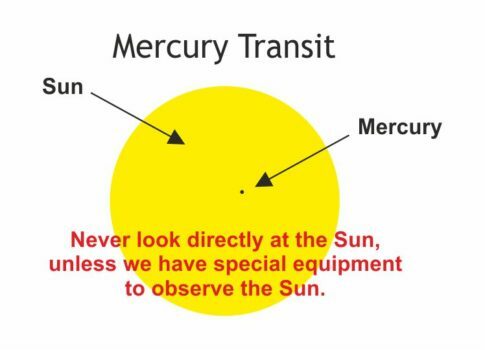 for the best view of the transit. The Fountain, Loughton, Milton Keynes, MK5 8AF.